I-spirit software collects and uses the necessary personal data of its Users through its Web site, its products and services in order to manage and provide you with the required Services and browsing the Website. Any use of your personal data (with the exception of sensitive personal data) is permitted to make i-spirit software, in accordance with this document, itself entitled to assign it to its trusted partners. I-spirit software uses personal information - including exclusively the name, telephone number and e-mail address (hereinafter "SMS") to contact you in order to inform you about other products or services provided by the same. I-spirit software does not sell, rent or otherwise provide access to the personal data of its Users to third parties. I-spirit software has the right to communicate with you on behalf of third-party partners about a particular offer that you might be interested in. In this case, your PPAs are not provided to the third party. I-spirit software has the right to provide your personal data collected through the Site, its products and services to trusted partners with the third party for purposes of statistical analysis, communication and maintenance. Any third party is prohibited from using your personal data to the extent that it does not concern the agreed service provision, and it is for each third party to keep the confidentiality of your personal data. As a trusted partner of i-spirit software, she is the one who independently recognizes it as such. I-spirit software does not combine the use of websites or other means, nor does it work with a third party to identify you or to collect more personal data without your consent. In this case, your means of identifying and collecting more personal data will be legal and personal data will not be collected indiscriminately. I-spirit software is committed to the absolute confidentiality of your sensitive personal data. 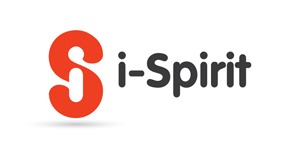 I-spirit software collects and uses your personal data, to the extent that this is required by applicable law or where it is in good faith deemed necessary to: (a) comply with statutory or legal procedures to i-spirit software for any matter relating to the Site, its Product or Services, (b) to protect and defend its rights and interests. The timing of storage of User's personal data collected through the i-Spirit Software's Web site, products and services may not be less than the minimum necessary to achieve the purposes for which it was collected. Any personal data collected to meet these purposes may be stored if it is possible to use it for re-use. The use of personal data will be in accordance with this text as it is updated every time it is updated. For any new uses that may be envisaged, personal data that is already collected by i-spirit software through the Site, its products and its services may be used. User's personal data is deleted after termination of the contractual relationship on which it was collected. Personal data of Users that have already been used for a certain purpose may not be deleted or otherwise removed as long as this is reasonably impossible or would alter the outcome of the use. At any time you can change your mind and request the release of your data from the above uses or the change of these data from i-spirit software. In order to make any change, modification or deletion of the personal data you have registered, you must send us an informative email at info@i-spirit.gr, from the account that you have entered your personal data with "change of personal data"